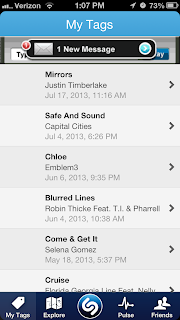 Shazam lets you identify, discover, and explore music that’s around you. 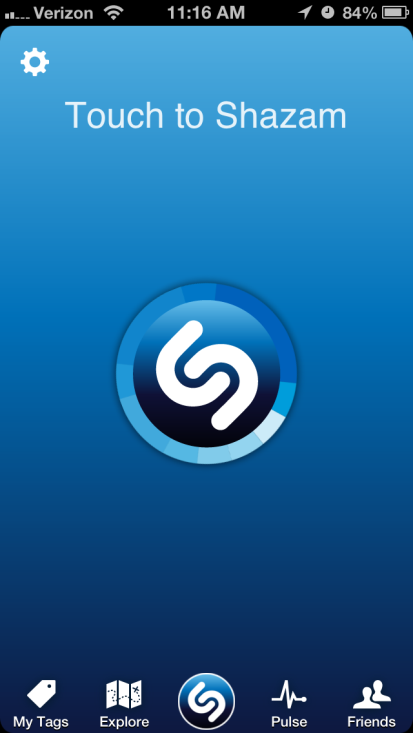 Whether you’re listening to a song on the radio, in a restaurant, or on TV, Shazam can identify the title and artist of the song with one tap. 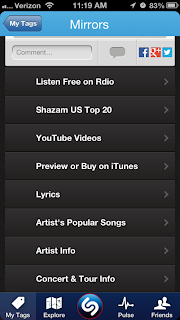 The app also links to the song’s YouTube video, information about the artist, and your device’s online music store for easy download. Apple users, download it here! Android users, download it here! When you’ve come across a song that you’d like to identify, open the Shazam app and tap the button in the middle of the screen. Shazam will identify the title and artist. To explore more about the artist, scroll to the bottom of the screen. Here you can find links to the song’s YouTube video, iTunes or Amazon MP3 store, lyrics, and more. 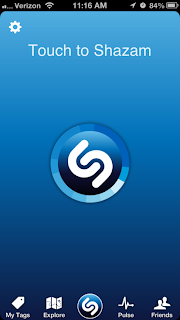 Once you’ve identified a song on Shazam, that title, along with the other titles you’ve identified, are stored for later review. To access these saved songs, or tags, tap on My Tags. 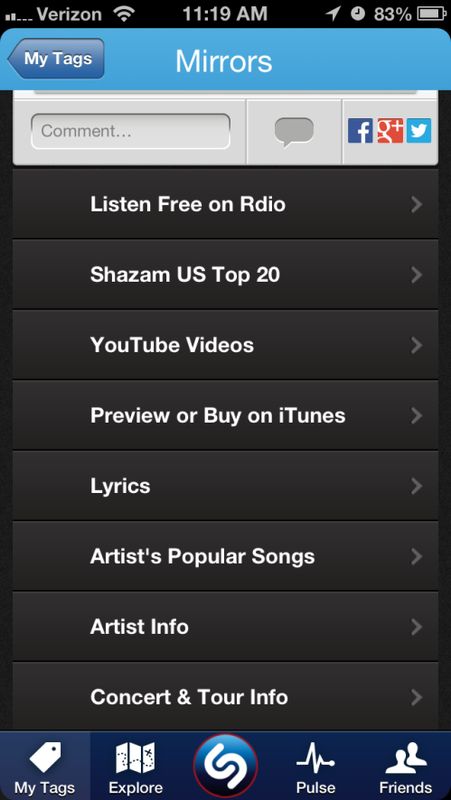 Shazam also has a social component. 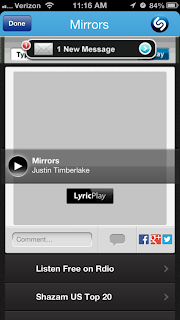 After signing in to your Facebook account, you’re able to see what songs and artists your friends are tagging. The Shazam app can be fun to use alone or with your friends. While traveling on a road trip in the car as a passenger, try scanning the radio stations in the area every once in a while. Shazam songs you’re unfamiliar with. 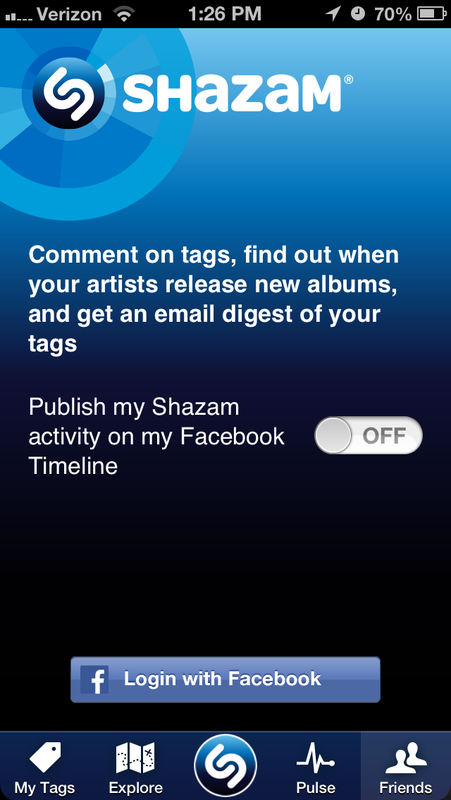 Head to a local music show or concert and try Shazamming a live performance to see if the band’s or artists’ songs appear. Watching a commercial and trying to pinpoint that song in the background? Shazam it! 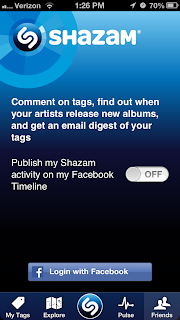 Link your Shazam account to Facebook and encourage your friends to as well. 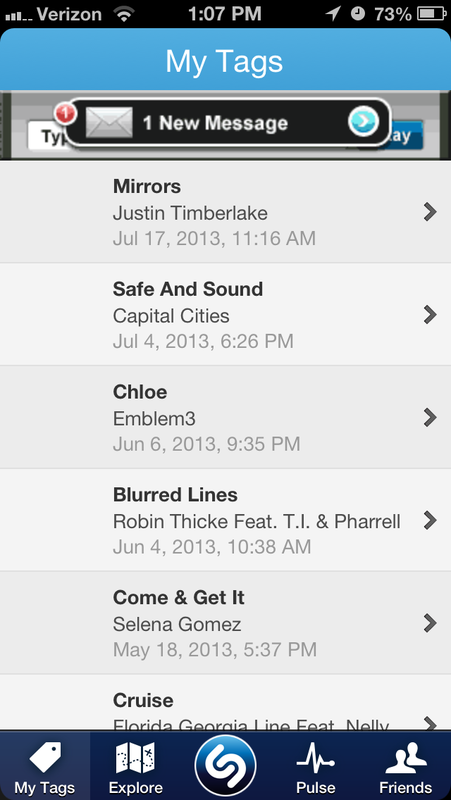 Check and see what songs everyone is Shazamming. Are there any similarities? Try listening to what your friends have tagged to discover new music. Shazam an artist you’re familiar with, and then try to guess what will show up in the “Artist’s popular songs” section. Check to see if you’re right! This is Courtney & Laura’s first official app of the month selection! Aren’t you thrilled you’re here for the beginning of something really wonderful?! Each month Courtney and Laura B will pick out a rockin’ app to share with you. We’ll show you how the app works, why it is cool, and we will even list a few ideas for how you and your friends or family can use the app together. Stay tuned to find out what July’s app will be, but for now, enjoy…. 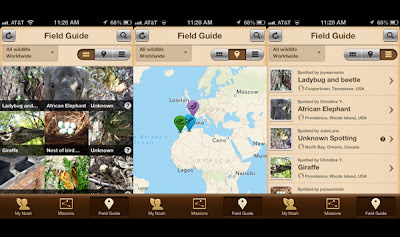 The Project Noah app allows you to explore, document, and discover the nature and wildlife around you, wherever you are. 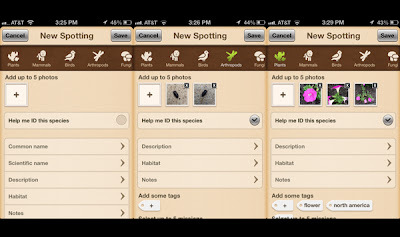 Using your smartphone and the Project Noah app, you can share pictures of plants and animals you find with the Project Noah community, see what other community members have shared, and participate in field missions. You can sign in with Facebook, Twitter, or another account to start being part of the community. 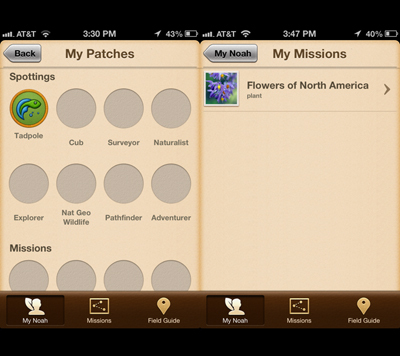 The app has 3 main buttons: My Noah, Missions, and Field Guide. The My Noah section allows you to manage your account and goings-on with Project Noah. 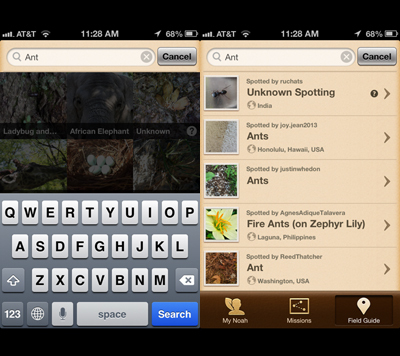 In this section there is a large grey button to list a New Spotting, which allows you to document the wildlife you find. Clicking it allows you to upload up to 5 photos. 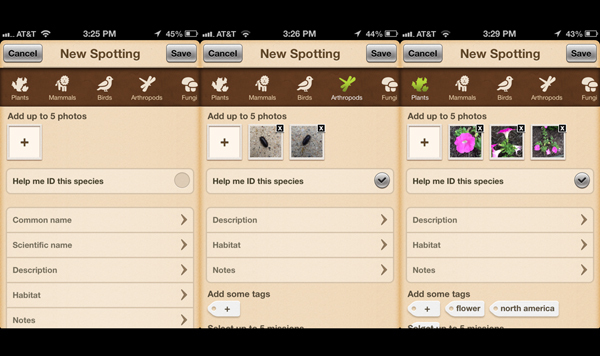 You can tap a button to get help identifying the species and you can add tags to help describe the piece of nature. The My Patches section shows you the patches you’ve earned by either uploading your spottings or participating in missions. In the My Noah section you can also check on the missions you’re currently working on. 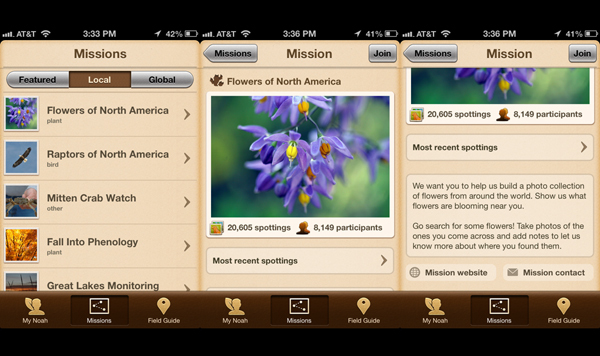 To learn more about missions or to participate in a mission, tap the Missions button. Choose any mission listing that interests you in the Featured, Local, or Global sections. The Field Guide section lets you browse and search through wildlife of all kinds. For example, you could click on one of the pictures in grid mode to view recent spottings, or you could click the location button to browse by location, or you can click the list button to browse in a list format. Alternatively, you can tap the magnifying glass button, then type “ant” in to the search box; you’ll be presented with spottings of ants listed by others. The Project Noah app can be fun to use alone or as a family and is appropriate for all ages, though littler ones will need help from an adult or teen to use and understand the app. Go on a family hike in a local, state, or national park. See who can find recognizable pieces of nature and who can find unrecognizable pieces of nature. Be sure to log what you find in you’re my Noah section in Project Noah! No time to head to the park? Have the kids slowly wander around the yard or driveway for a few minutes, looking for wildlife. They might be surprised at what they find… and you might be, too! Don’t forget to keep track of what they find in the My Noah section in Project Noah! Select a mission or two to participate in as a family in the Missions section of Project Noah. Then, set aside a time each week to make progress on the mission and see how others are progressing as well. Download the Project Noah app on a few devices within the immediate or extended family or in your group of friends, then compete to see who can get the most patches or make the most spottings! Try creating a family or friends group on Facebook to share your Project Noah activity, missions, patches, and findings! Graphic Novels! It’s not just for Superheroes! Did you know that graphic novels go beyond superhero comics? Many of the titles in our collection tell wonderful stories without a cape in sight. Here are 20 of my favorite non-superhero graphic novels. Remember to check out our Graphic Novel and Manga Swap Party on January 10th and trade your gently used Graphic Novels with other fans at the library. Whether you have already read them or you received a duplicate over the holidays, bring up to five titles to trade. It’s a great way to grow your collection and meet new fans of the genre. You can bring Graphic Novels, Manga titles, or comic books. See you on January 10 at 6pm! 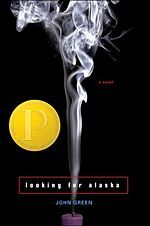 One challenged title that’s near and dear to my heart is Looking for Alaska by John Green. Alaska follows Miles Halter as he starts his junior year at Culver Creek Preparatory School. For the first time Miles has friends, and life after meeting The Colonel, Alaska, and Takumi will never be the same. I Love this book. Love with a capital L.
In 2008, the book was challenged by community members near Buffalo, New York who were upset that the book was on an 11th grade reading list at Depew High School. John Green took to his popular vlog, that he runs with his brother Hank, to address the controversy. Fortunately, The Depew School Board voted unanimously to keep Looking for Alaska in the curriculum. Yay for intellectual freedom! If you’d like to read Looking for Alaska, or any of John Green’s books (seriously, you should! ), you can find them in the teen section of the library. Teen books…not just for teens! Hello! For those of you who don’t know me, I’m Courtney, the Teen Services Coordinator. I spend the majority of my time back in area T. My job offers me the awesome opportunity to order all of the teen fiction for the library as well as plan teen programs. How cool is that? As you may’ve guessed, I’m a huge fan of teen fiction and I believe it’s a genre that can be enjoyed by other adults as well. Seriously! I’ve composed a list of my top 10-ish favorite teen books of the moment. Give one a try and let me know what you think! The Fault in Our Stars by John Green – Before I tell you about this book I must confess, I’m a huge John Green fan. I love his books and his vlog that he does with his brother Hank. I could write an entire blog entry on how much I love his work. But I won’t. Well, maybe later. Anyway, back to The Fault in Our Stars. Hazel is a sixteen year old terminal cancer patient. She spends her days watching TV and being obsessed with the author of her favorite book. Her life is forever changed when Augustus Waters shows up at her cancer support group. Upon this meeting, Gus and Hazel’s life will never be the same. Be sure to check out John Green’s other books: Looking for Alaska, and Paper Towns. The Perks of Being a Wallflower by Stephen Chbosky – Told in a diary format, this book is a coming-of-age story about Charlie that follows him through his awkward adolescence as well as learning to cope with the tragedy in his life. Soon to be a movie starring Emma Watson of Harry Potter fame. Nick and Norah’s Infinite Playlist by Rachel Cohn and David Levithan – After his band plays, Nick asks Norah, a complete stranger, to be his girlfriend for five minutes to avoid his ex. This action sets off a chain of events that sends the couple all over NYC. Music fans will love this one. Anna and the French Kiss by Stephanie Perkins – Anna’s dad sends her to boarding school in Paris. Here she meets St. Clair and they become best friends, but Anna may want something more. If you like this one, be sure to check out the companion novel: Lola and the Boy Next Door. Thirteen Reasons Why by Jay Asher- Clay comes home to find a box full of cassette tapes waiting for him. On the tapes is the voice of Hannah Baker who committed suicide two weeks before. Hannah explains the thirteen reasons why she decided to end her life and Clay is one of the reasons. Heist Society by Ally Carter – Kat has always had a hand in the family business; her family just happens to be con artists and thieves. She tries to escape the lifestyle, but is pulled back in when her father is accused of stealing a mobster’s art collection. Kat’s only option is to steal the paintings back to clear her father’s name. Be sure to check out the sequel: Uncommon Criminals. Before I Fall by Lauren Oliver – After she dies in a car crash, Samantha relives the day of her death over and over. If I Stay by Gayle Forman – Mia is in a coma following an accident that killed her entire family. The story follows her process of deciding whether to stay or join her family. Sloppy Firsts by Megan McCafferty – Jessica is devastated when her best friend, Hope, moves away. Now she must face the trials and tribulations of high school alone. This book is the first in a series. The Hunger Games by Susanne Collins – At this point, who hasn’t heard of The Hunger Games, right? Whip it by Shauna Cross – Bliss is a rebel. She’s out of place in her small Texas town and doesn’t always see eye to eye with her beauty pageant obsessed mother. Then she discovers roller derby and starts skating under the name Babe Ruthless. As a huge roller derby fan myself, I loved everything about this book. Did you know that Indiana has a number of female roller derby teams? If you get a chance, you should check out Naptown Roller Girls, or Circle City Derby Girls. Well, that’s my top 10-ish. Let me know what you think!